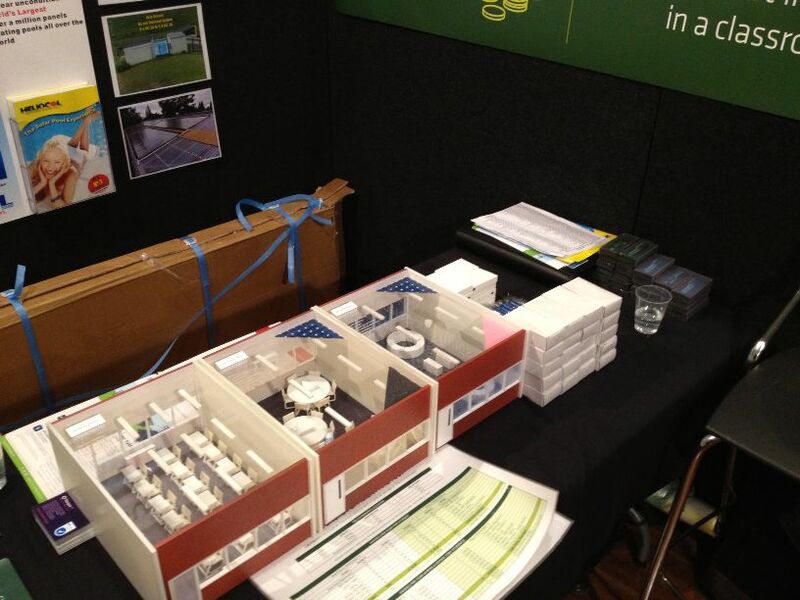 SEO Conference in Dunedin 17 - 19 July 2013 - Yet again we had a busy schedule and met plenty who were interested in all areas of Energy Efficiency from, generation, cost saving measures, to technology shifts which could aid in the reduction of energy consumption. Our first year as SIlver sponsors, we had a contingent of four, head down to Dunedin to meet with School's Executive Officers from all over the country. Yet again we had a busy schedule and met plenty who were interested in all areas of Energy Efficiency from, generation, cost saving measures, to technology shifts which could aid in the reduction of energy consumption. We had out 3 classroom model on display and demonstated the different levels of how School could become more efficient.